Commonly used to describe a leak testing application, pressure testing is another form of testing that is carried out on a numer of different product. 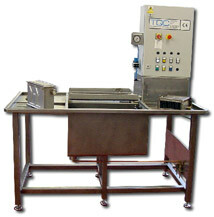 This page outlines three projects TQC carried out where the customer product was pressure tested. 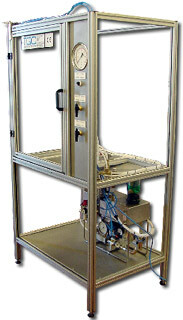 Hydraulic cycling test of gas cylinders @ 450bar, system complete with full data monitoring. Typical test carried out for up to 20,000 cycles. Heat exchanger test benches using air under water and pressurised water (with fluorescent dye). Both units with safety interlocked proof pressure test prior to leak testing via manual inspection. 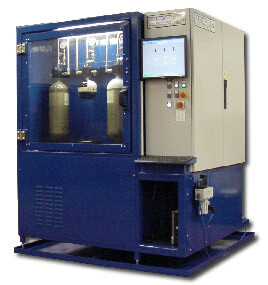 Standard pressure test (typically 1.25x to 1.5x the design pressure). Hydraulic pressure up to 1095 bar (15,877psi) as standard. Underwater pneumatic testing combining a standard pressure test with a leak test.